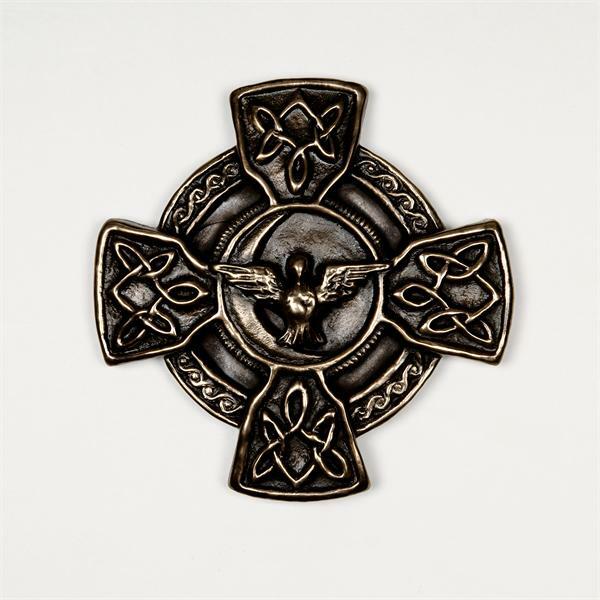 This beautiful Celtic cross is created in Ireland by Wild Goose studios. This piece is made with a shell of pure bronze backed by a resin and ceramic core. If placed outdoors the bronze will acquire a green patina over time. 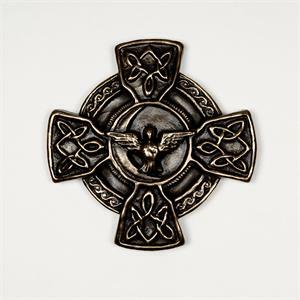 It can be left to age naturally or polished occasionally with a soft cloth to retain its shine.